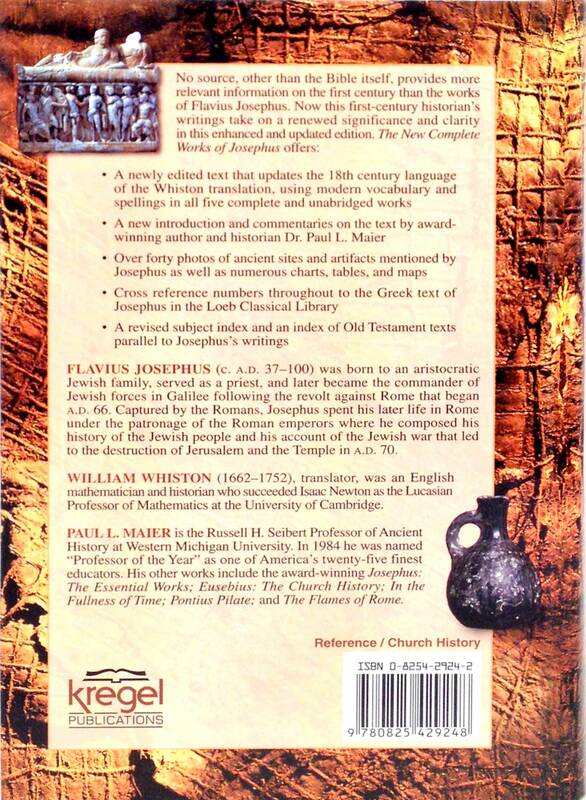 Next to the Bible in importance the writings of the historian Flavius Josephus are the most authoritative ancient sources for illuminating the people places and events recorded in the Old and New Testaments. Have you ever wished that you could have been a spectator of the events of the time of Christ or that you could have lived during the exciting days of Old Testament history? Here is the classic work that will make you part of these great momentous events of Biblical history and make it possible for you to join in the dramatic experiences of that exciting period. This fascinating history will guide you through all the long corridors of experiences of the Biblical people beginning with the Creation down to the time of the Roman emperor Titus who with his Roman legions subdued Jerusalem during the first century of the Christian era. 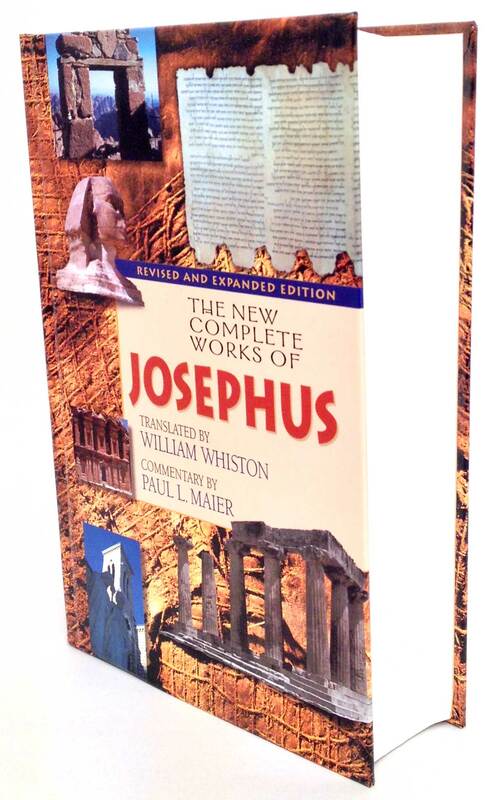 Josephus remains the primary extra-Biblical reference for Biblical studies and archaeology. This classic work is regarded as the only reference in history containing valid contemporary references to Christ. Born in Jerusalem only four years after the crucifixion of Jesus Josephus was an eye witness to much of what he reported in the first century. A.D. He wrote a vivid account of the Jewish wars and the Roman destruction of Jerusalem in 70 A.D.
Dr. Stebbing at the close of his Introduction to this remarkable edition articulates well the reaction most Christians experience after their exposure to The Complete Works of Josephus when he states "We may perhaps without presumption ascribe the existence of his works to Divine Providence; for there are few persons who have read his narrative that have not felt themselves more deeply impressed than ever with the solemn truths of Scripture and the tremendous certainly of the Divine judgments." new complete works of josephus,william whiston,ben matthias,New Complete Works of Josephus,William Whiston,antiquities of jews,paul l. maier,alexander great,william whiston,seige of ptolemy,jerusalem against apion,flavius josephus,commander of jewish forces in galilee,western michigan university,russell h. siebert professor of ancient history,pontius pilate,roman army,caesar,romans,judea,herod,cleopatra,antony,arabia,revolt of trachonites,phasaelus,parthians,antigones,hyrcanus,phasaelus,HS00122"